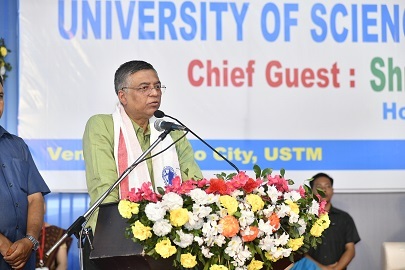 Minister for education, Siddhartha Bhattacharya will formally launch the Mukhya Mantri Krishi Sa Sajuli Yozana (Chief Minister Farm Tool Scheme) and Farmers’ Credit Linked Subsidy Scheme at a function to be held at deputy commissioner’s office premises on Monday. Under the scheme, Rs 5000 will be provided to each farmer as financial assistance for procurement of farm tools and implements. Sub-divisional agriculture officer A R Ahmed said the scheme has been formulated by the State Government to promote the usage of scientific implements by the small and marginal farmers as well as share croppers to increase their productivity and to enhance their income. The Government of Assam has targeted five lakh farmers across the State under the scheme. Under AFIRS, short term crop loans will be provided to farmers up to Rs two lakh with four per cent interest subvention with effect from April 1 2018 until further orders, while one-time cash incentive up to Rs 10,000 for activating overdue and NPA KCC accounts till September 30 this year will be given under AFIS.